70,000 Tons of Podcast! Chuck and Godless set sail for the Caribbean with 4,000 metalheads to experience 60+ bands and some amazing times: a bigger ship, 20 more bands and even more fans on board than ever before, all headed to Jamaica with one thing in common… metal! Corrosion of Conformity make their first appearance on the Podcast with their Blind-era lineup. They tell us all about how this group came back together of late, the big difference with the recent return to the three piece, Reed Mullin’s experience with Dave Grohl and a new project called Teenage Time Killers that features some amazing guest stars. 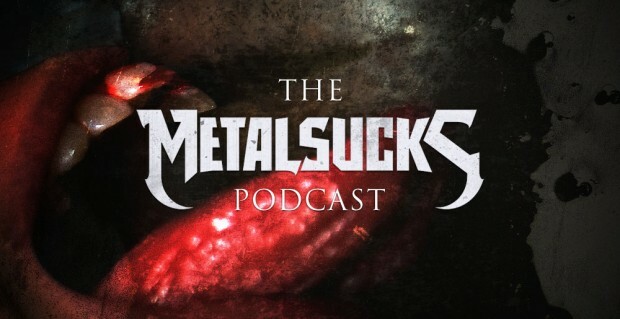 Later Chuck and Godless sit down with Max and Gloria Cavalera and talk about their storied history with the metal business: what it’s like to have so much of their family involved, what it means to have that time together and how tragedy has shaped their destiny.